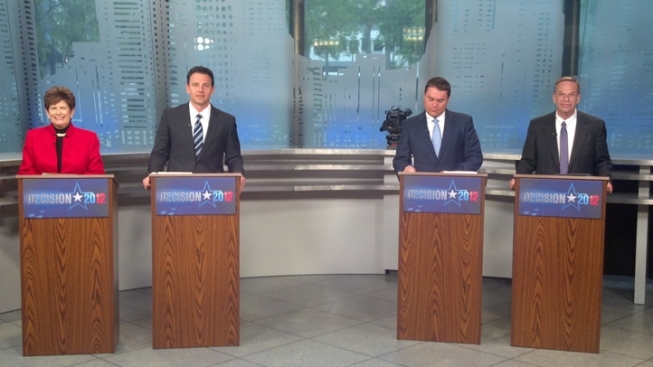 Candidates Bonnie Dumanis, Nathan Fletcher, Carl DeMaio and Bob Filner before the April NBC San Diego debate. The ballots have been mailed out and the June 5 primary election is just a few weeks away. 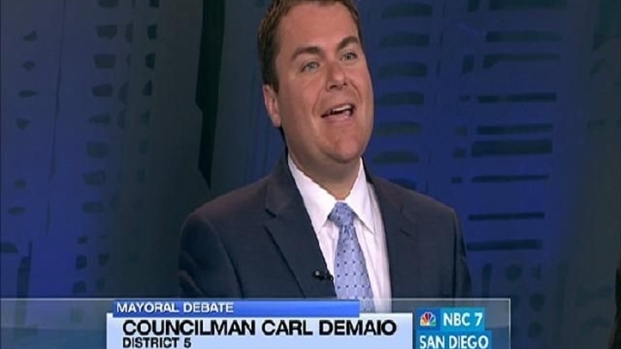 For a last chance to hear this year's mayoral candidates debate and discuss San Diego's most important issues, NBC 7 San Diego will host the second mayoral debate of this election season on Sunday May 20 at 6 p.m. This time, we’ll be asking the candidates some detailed questions about their management experience, priorities and project stances. Watch clips and read about highlights from the first debate last month. Panelists asked mayoral candidates Bonnie Dumanis, Nathan Fletcher, Carl DeMaio and Bob Filner what they would prioritize if the city is in fact headed for a budget surplus as current Mayor Jerry Sanders projected. NBC 7’s political reporter Gene Cubbison, anchor Mark Mullen and Voice of San Diego CEO Scott Lewis will ask questions of the four major mayoral candidates – Congressman Bob Filner, District Attorney Bonnie Dumanis, Councilman Carl DeMaio and Assemblyman Nathan Fletcher. Anchor Catherine Garcia will moderate the debate. Here's an introduction to this year's mayoral candidates. NBCSanDiego.com will live stream the debate beginning at 6 p.m. We'll be asking for your thoughts on our Facebook page and Twitter and will be live-tweeting the debate using the hashtag #NBCSDDebate. Panelists asked mayoral candidates Bonnie Dumanis, Nathan Fletcher, Carl DeMaio and Bob Filner each questions pertaining to their stances on the convention center expansion funding. 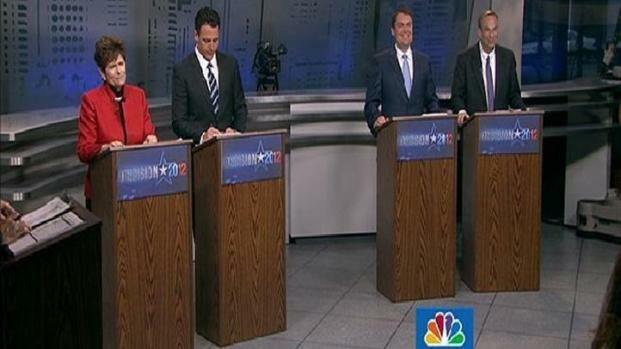 If you miss the live debate, clips, highlights and social media chatter will be posted to NBCSanDiego Sunday evening.